Ever since the beginning of the show, it has been assumed by many fans that Lost creator J.J. Abrams (director of this summer's Star Trek, among others) will be returning to the show in season six to direct that final episode of everyone's favorite show. 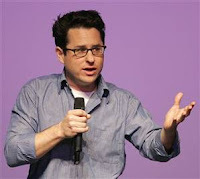 In a recent interview with TIME Magazine, Abrams denied this speculation. "It would be an honor to go back and direct the finale," he said, "The reason I won't do it is that Jack Bender, who is the directing producer on the show, has essentially earned the right to do whatever he wants. He should be directing the finale." It makes me quite happy that Lost will not have some extravagant guest director for its series finale, but will instead will be keeping it in the family. Just a small piece of news I felt was worth sharing.